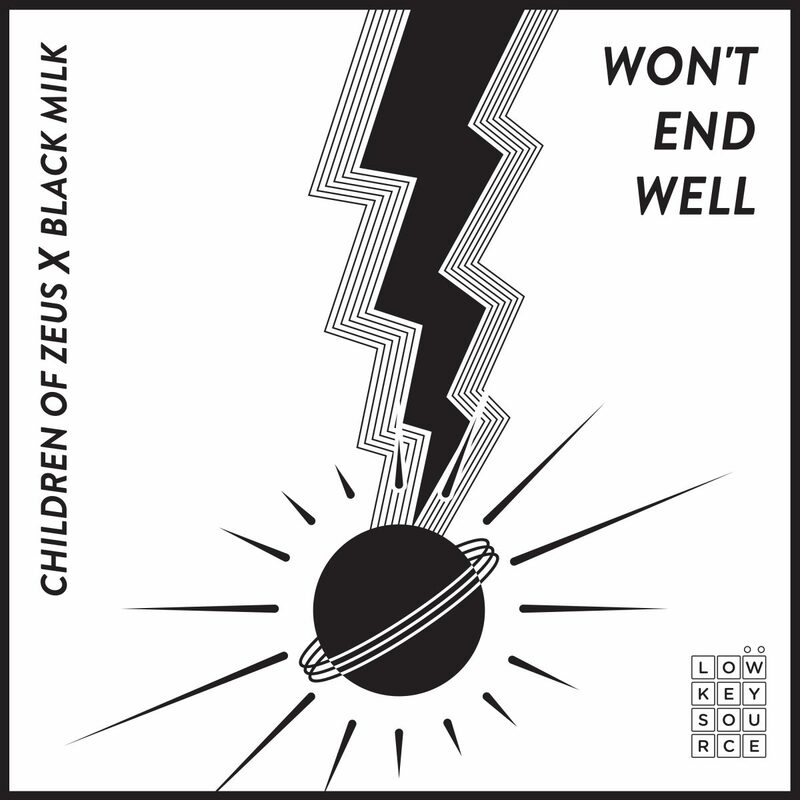 To coincide with the Children Of Zeus Australian and New Zealand tour in February and March 2019, Low Key Source continue their collaborative releases with the new pairing of two internationally renowned artists Children Of Zeus x Black Milk ‘Won’t End Well’ single to be released December 7th. With the successful collaboration EP release between Raiza Biza x Remi ‘Black Hole Sun’ produced by Black Milk receiving airplay on Triple J, Double J and a string of nationwide community stations including FBi Radio, PBS, 2 RRR and more, plus a successful AUS & NZ tour, Low Key Source are excited to present two tastemaker artists from two cities historically known for birthing ground-breaking influential artists and sounds – Detroit (US) and Manchester (UK). Highly acclaimed Manchester soul and broken beat duo Children Of Zeus garnished musical sensibilities world-wide with the release of their stand out debut album ‘Travel Light’ released in July 2018 through First Word Records and Low Key Source. Tastemakers from all corners of the globe have applauded ‘Travel Light’ and their earlier release EP ‘The Story So Far…” for Konny Kon and Tyler Daley’s quality production oozing boom bap Neo Soul sensibilities, vocal arrangements and harmonies distinctly COZ, whilst keeping their eclectic electronic influences in measured doses producing a sound uniquely their own. Detroit producer and rapper Black Milk has pushed through as one of the world’s top producers for his hard-hitting beats with a strong sampling component labeling him as a virtuoso producer in demand. With a production catalogue under his belt consisting of Slum Village, Danny Brown, Jack White, Guilty Simpson and the late Sean Price, Black Milk travels the world with his band Nat Turner turning his production into a dynamic full band experience. Their collaboration single ‘Won’t End Well’ depicts a neighbourhood entranced by drugs and how good kids seduced by this way of life learn how to become a part of the cycle despite the advice of their parents knowing it won’t end well. Black Milk’s hard kick and crisp snare mimic the darkness surrounding this type of environment in a predatory and cunning manner. The bell’s melodic top line heard throughout the track adds to the predatory feeling. Konny and Tyler’s delivery is rough yet exacting, delivering contained aggression and desperation experienced from neighbourhood hypnotized by drugs on every street corner. Despite the heaviness of a reality known to some, Children Of Zeus and Black Milk continue to touch on subject matters relevant to their audience, grounded in everyday life circumstances. It’s safe to say, next year will be an exciting collaborative year between Low Key Source and Children Of Zeus.